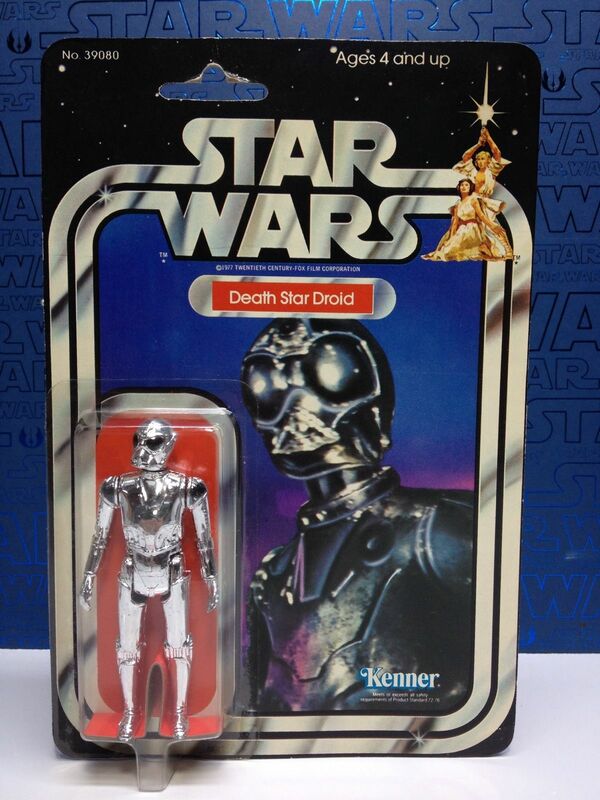 As we close out 2013 so do we close out our movie focus on the general update. 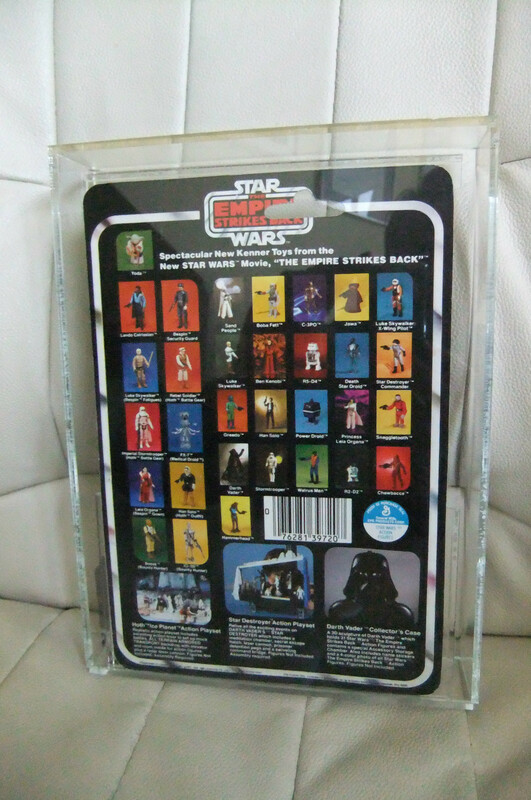 This month’s focus on the Star Wars line is a fitting end to the series and item for item released it’s our most comprehensive figure coverage to date with all 21 figures being represented. 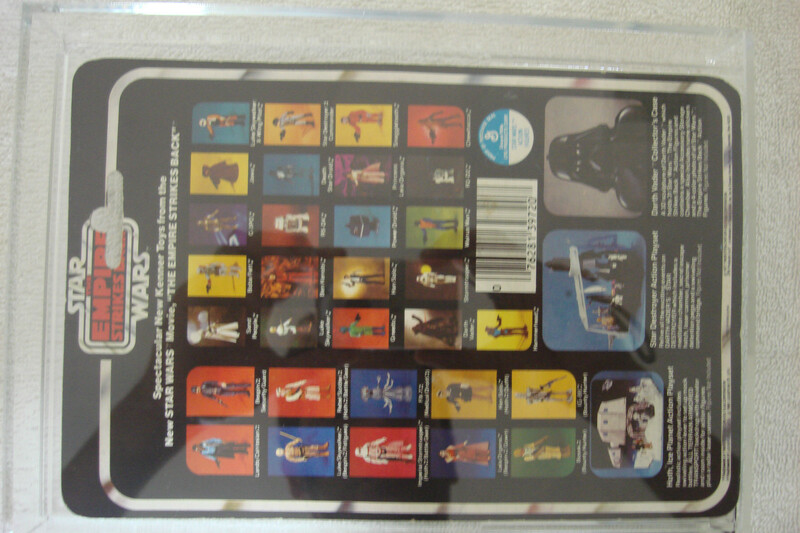 The toyline for original Star Wars movie was iconic and epic in every way and really created the 3 ¾ inch action figure genre as it was the first successful line in that scale. 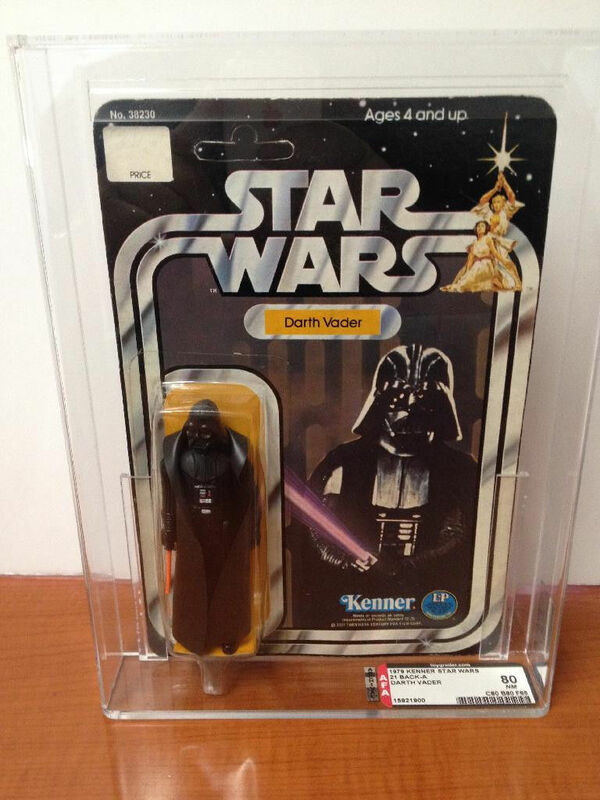 The line was as mass produced as any, however early lack of availability made demand shoot through the roof and it never caught up. 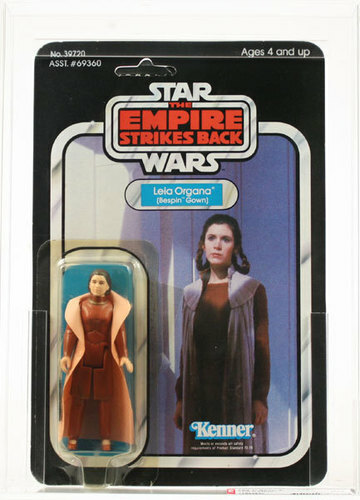 Thus the original line of figures in the vintage series remains extremely sought after and in high demand amongst novices and beginning collectors. 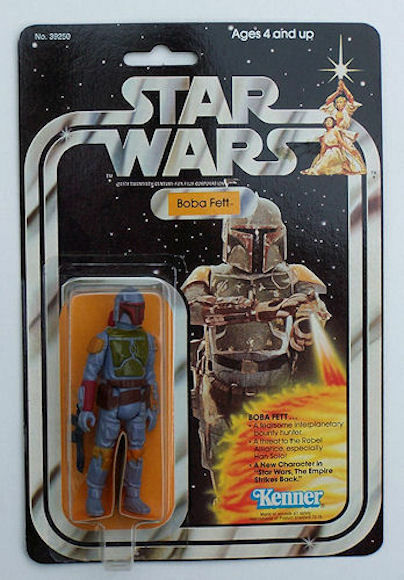 With the first release of the Early Bird set to the release of Boba Fett the line had several monumental steps as it recreated the Star Wars universe. 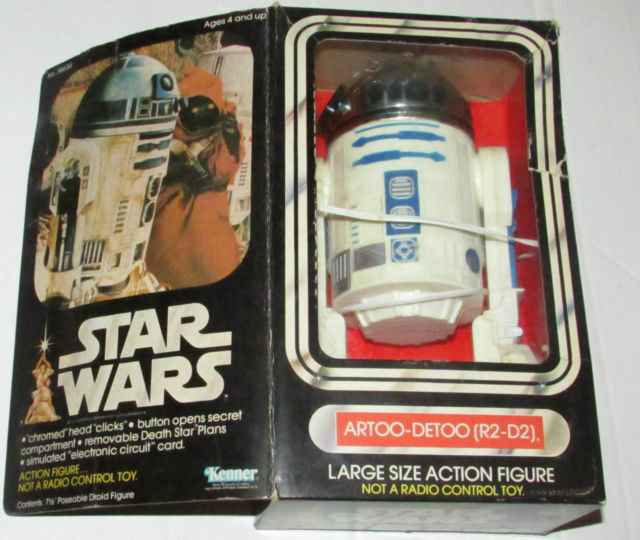 With our review I’ll cover all the main production categories and detail out the line to the fullest extent based on recent auctions and online BIN prices. 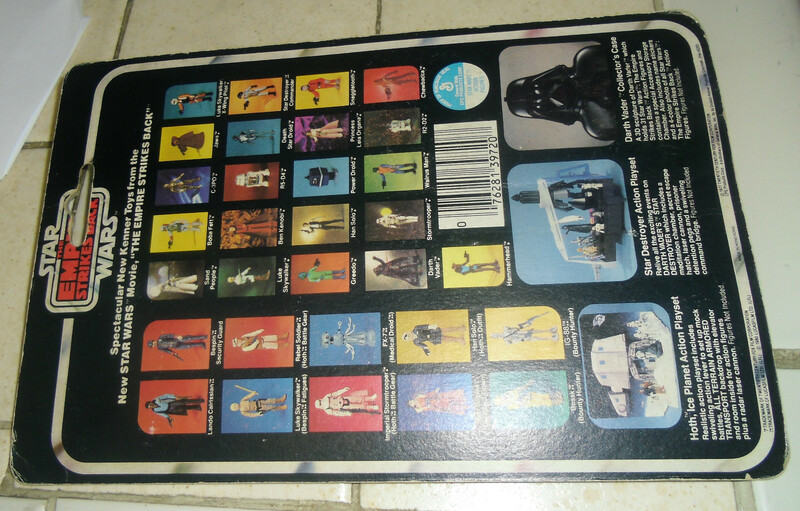 The original first 21 figures form the base of the Star Wars vintage toy universe. 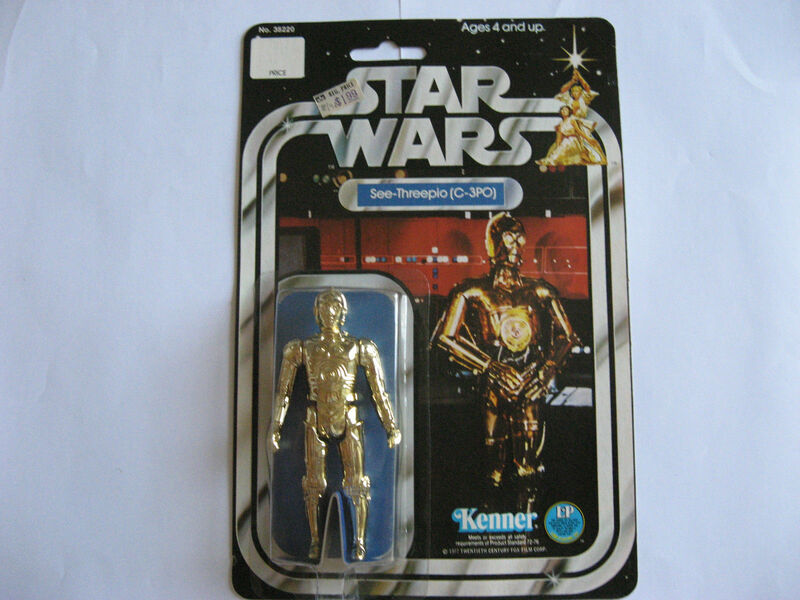 They have the unique distinction of being released with each series in their original form. 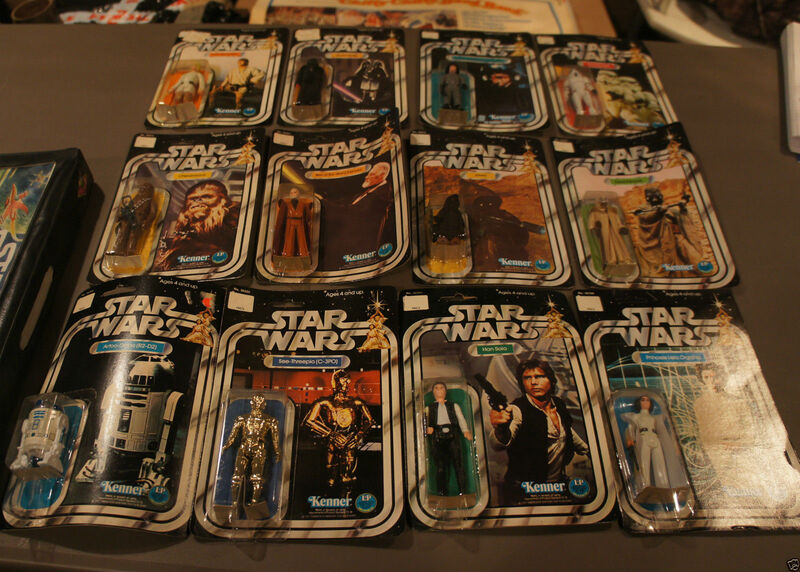 Thus the figures touched a huge span of children through the late 70s and early 80s, with these seeing a retail lifecycle of 7 years and up to another year and half of closeout shelf life. 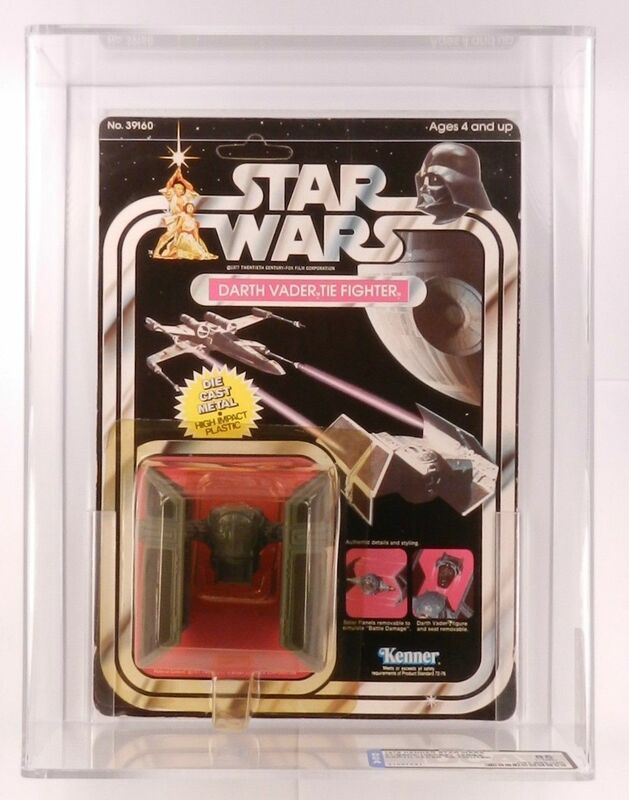 With the update this month I bring you a full showing of the first 21 MOC, with some extremely high grade examples that drove some insane prices. 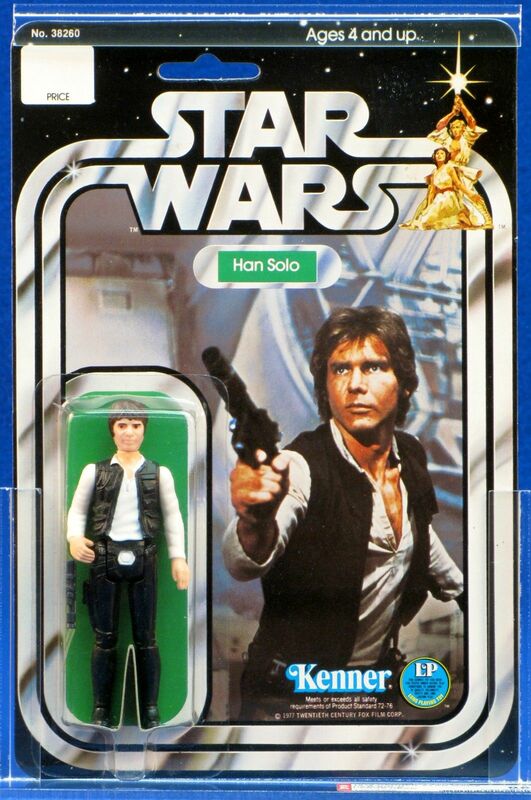 Overall the usual suspects of Boba Fett, Luke Skywalker Tatooine, and Han Solo all saw incredible prices for first release versions of each figure. 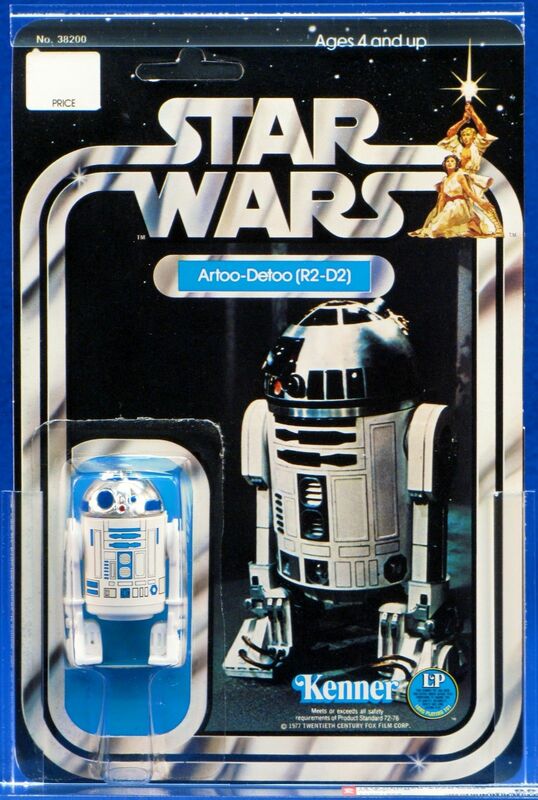 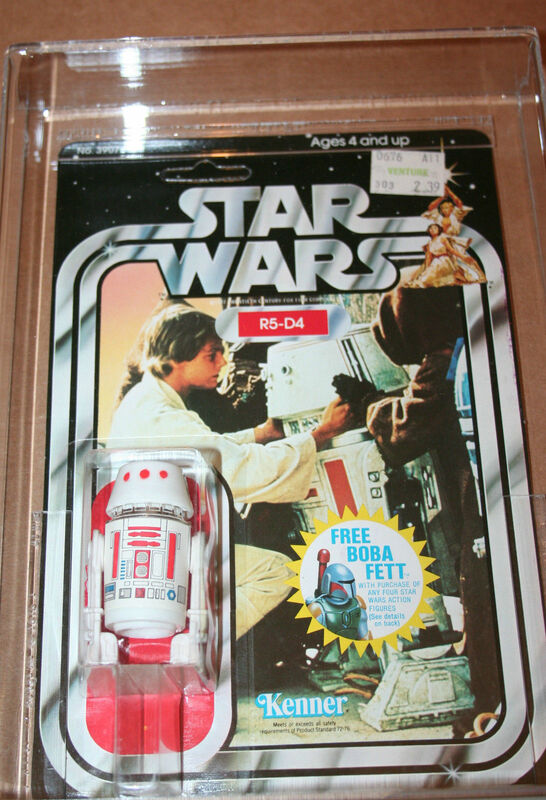 Surprisingly R2-D2 was the next highest priced auction with an AFA85 seeing a $1933 price tag. 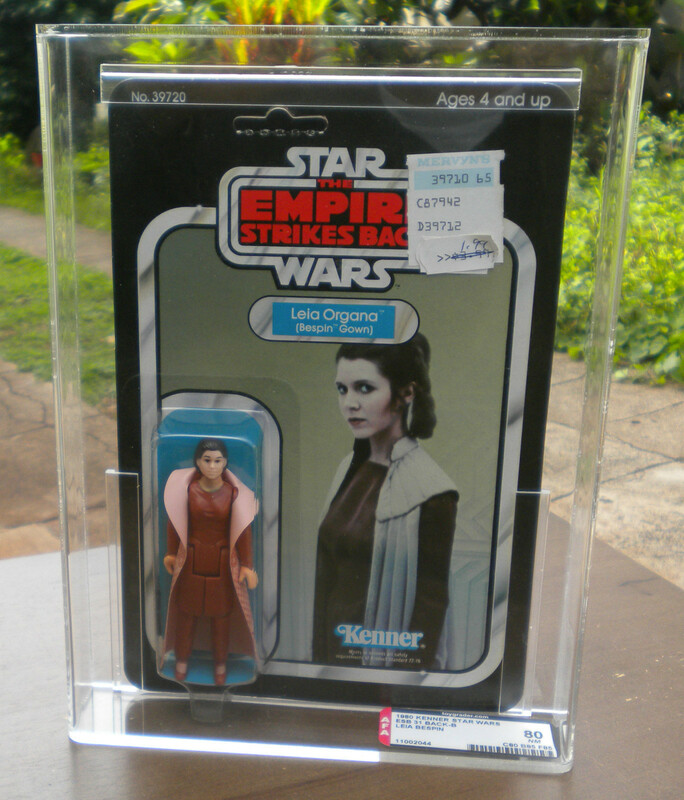 With that here’s the rest of the line and what we saw each achieve in recent auctions. 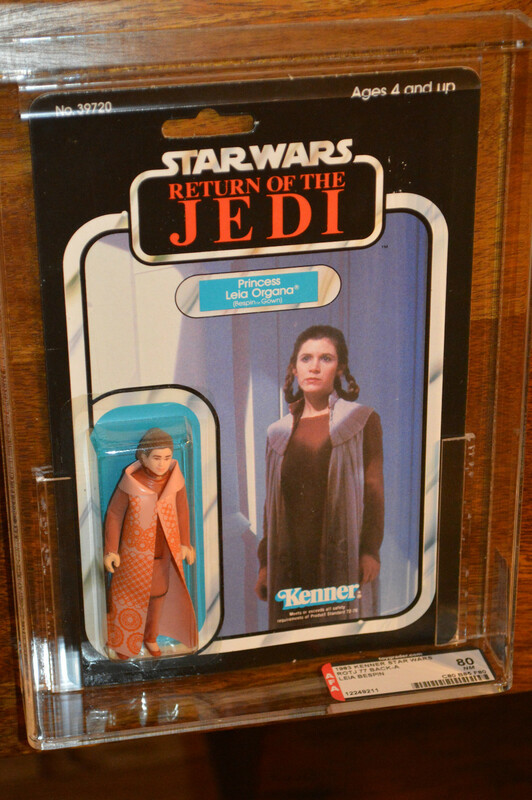 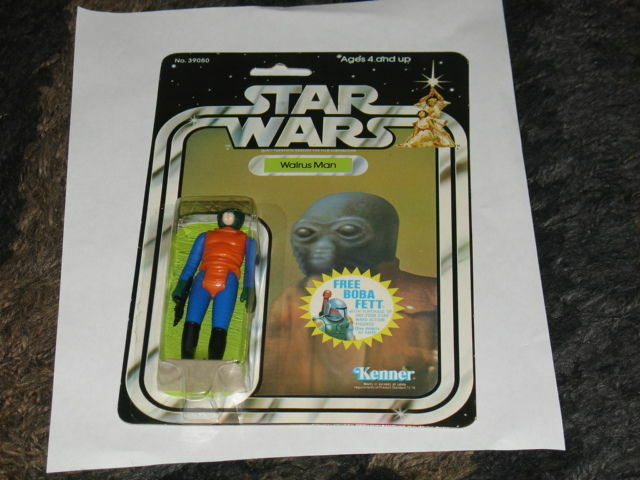 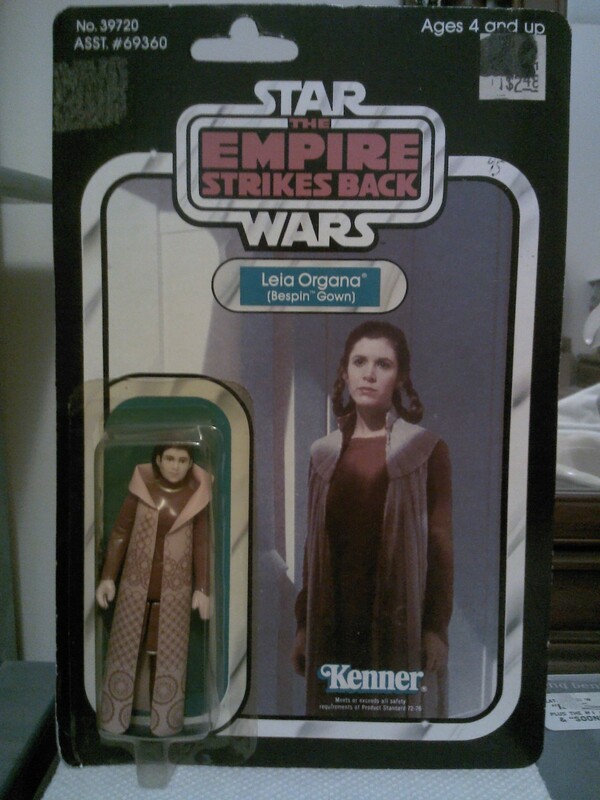 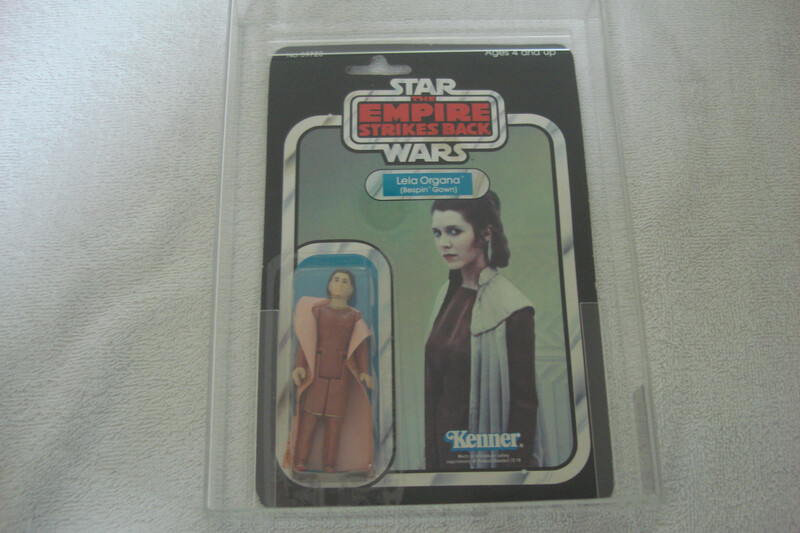 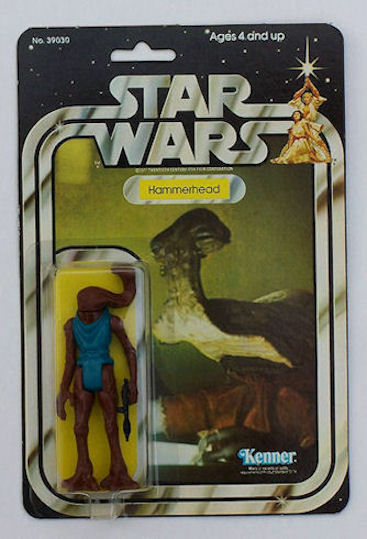 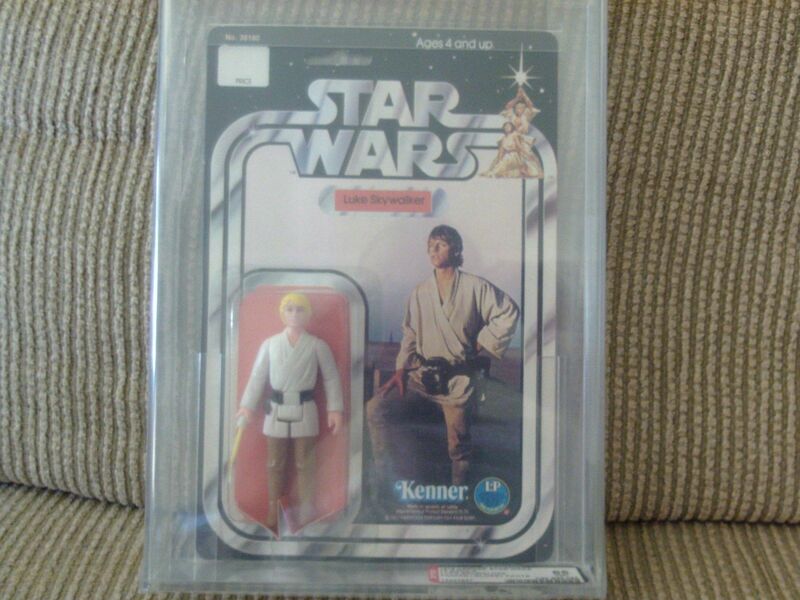 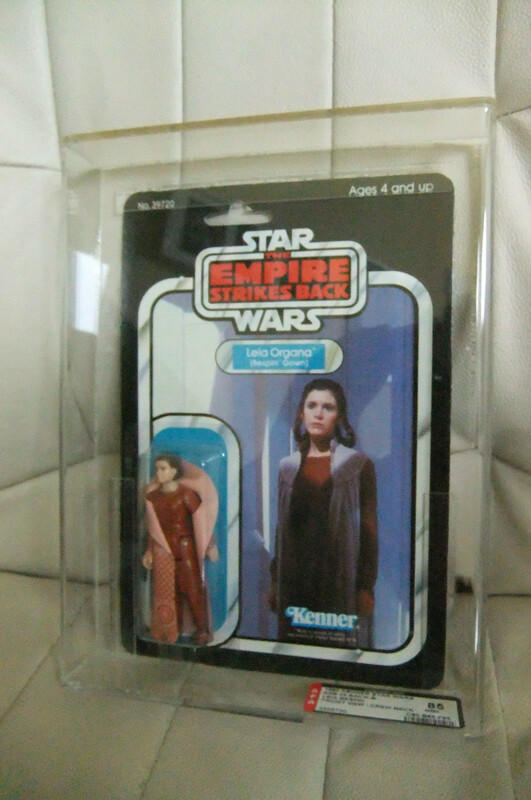 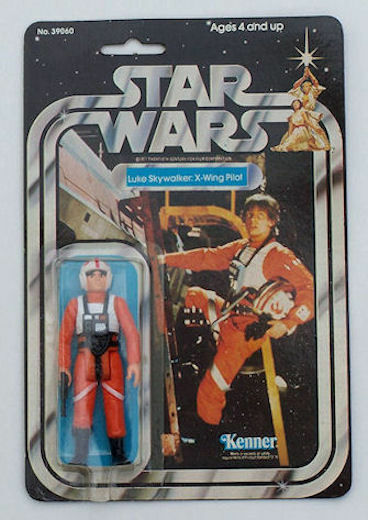 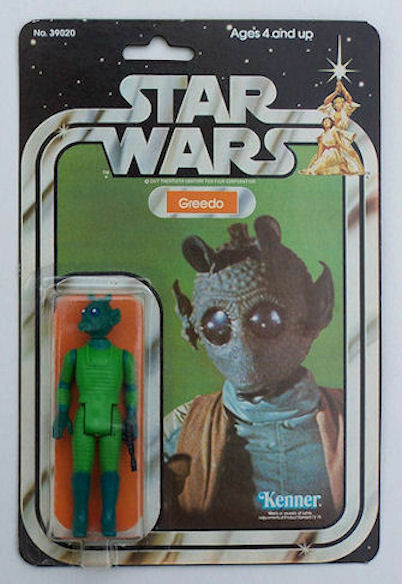 As many know the 1:6 Scale or 12” Action Figure was the initial direction that was intended for the main offering in the Star Wars vintage toyline. 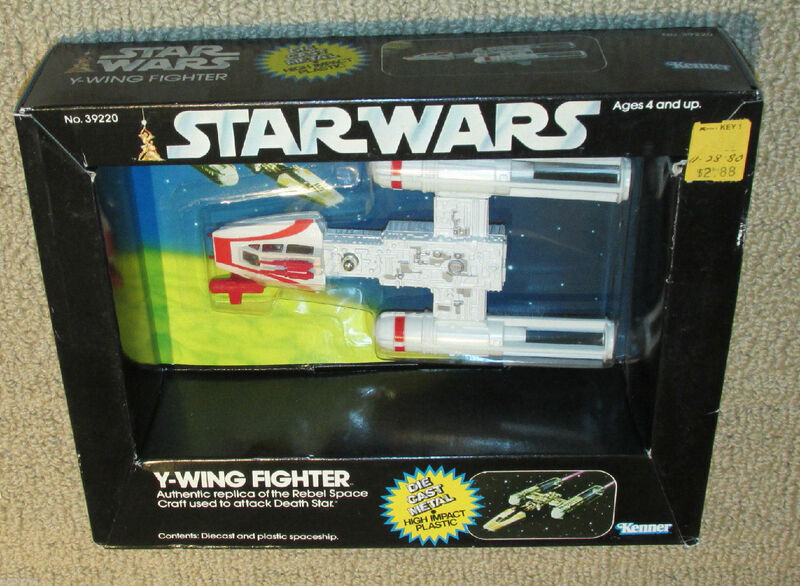 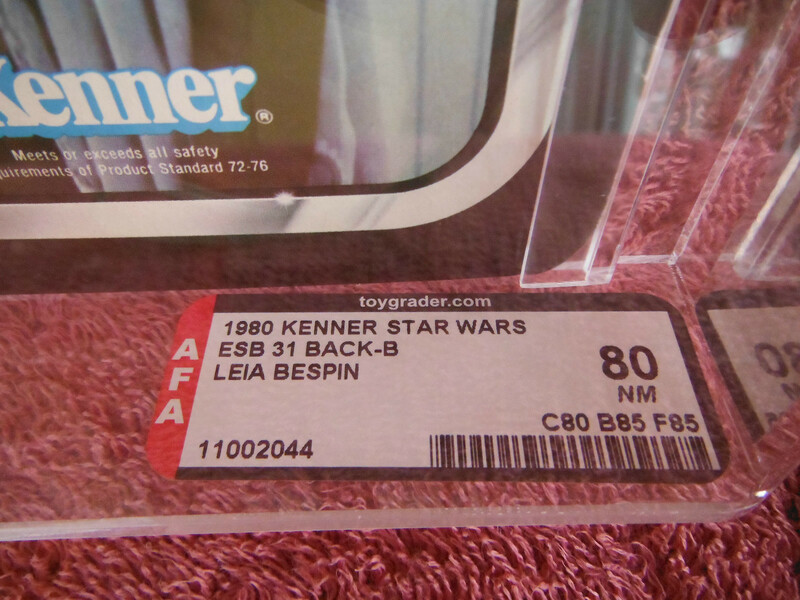 However the inability, to make vehicles such as the Falcon and X-Wing pushed Kenner to go to the 3 ¾ Inch version vs. the large scale format, given the enormous price points for large scale vehicles. 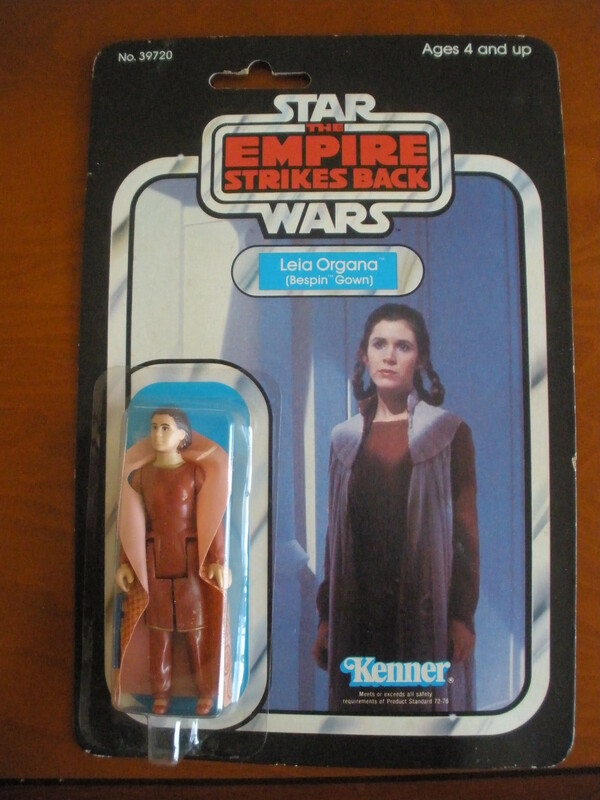 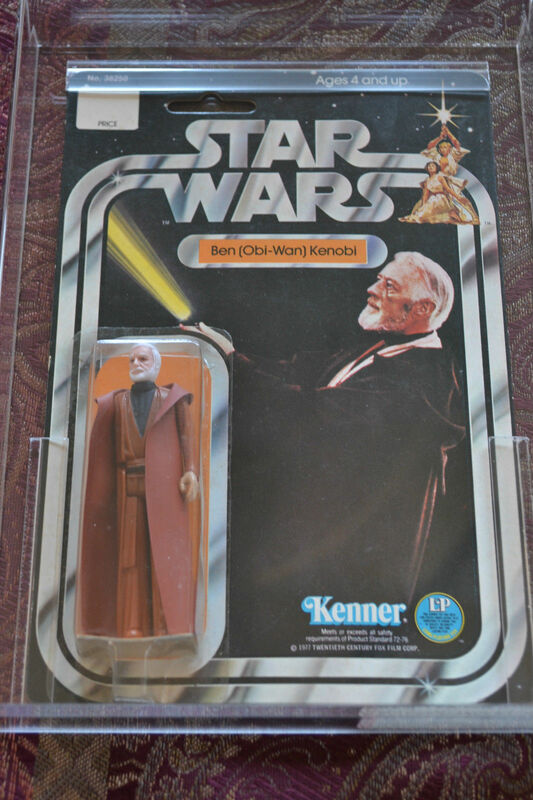 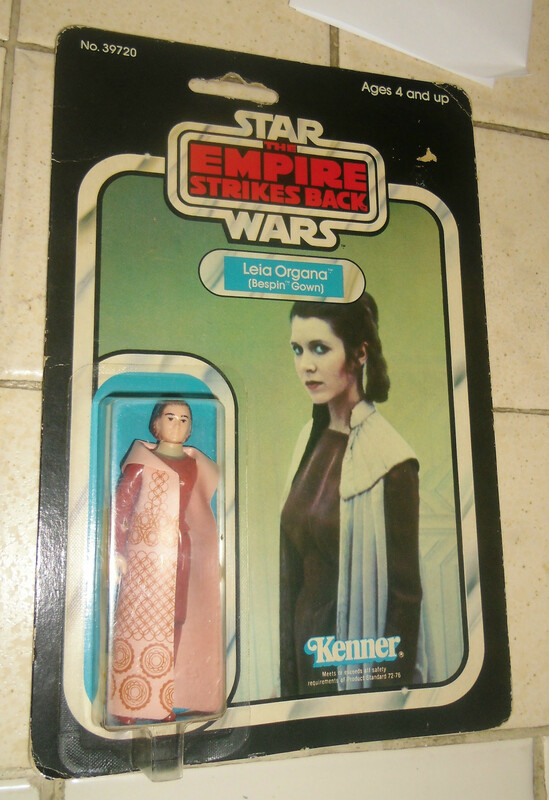 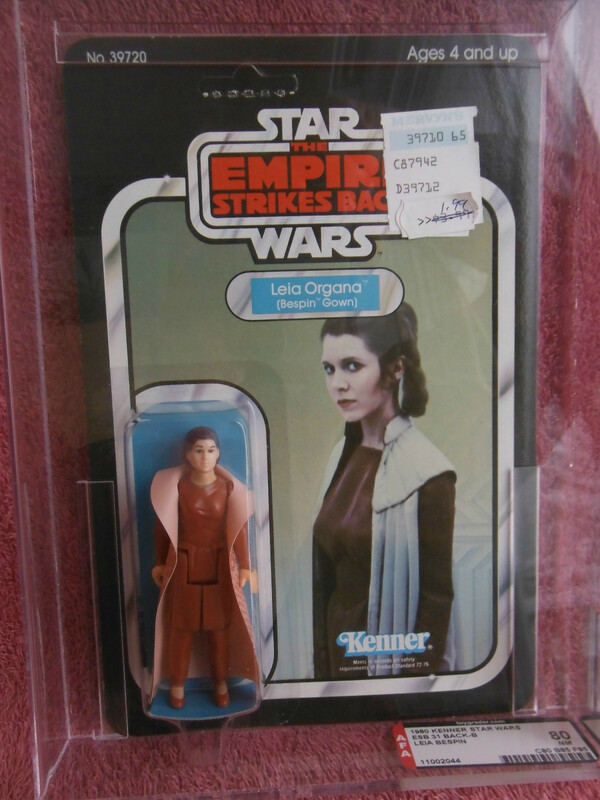 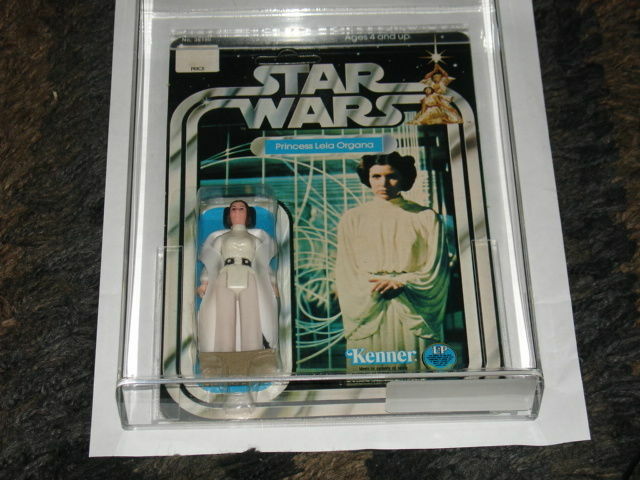 Thankfully, Kenner did produce a line of large format figures featuring 11 very detailed versions of some of our favorite characters. 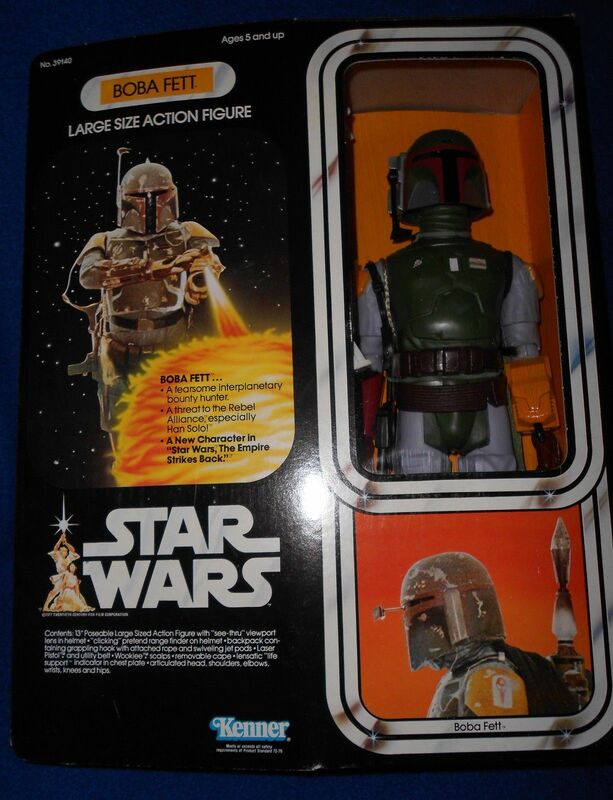 The line spanned from 10 characters in the first movie and even went into Empire with the early release of Boba Fett, following his release as a small scale figure. 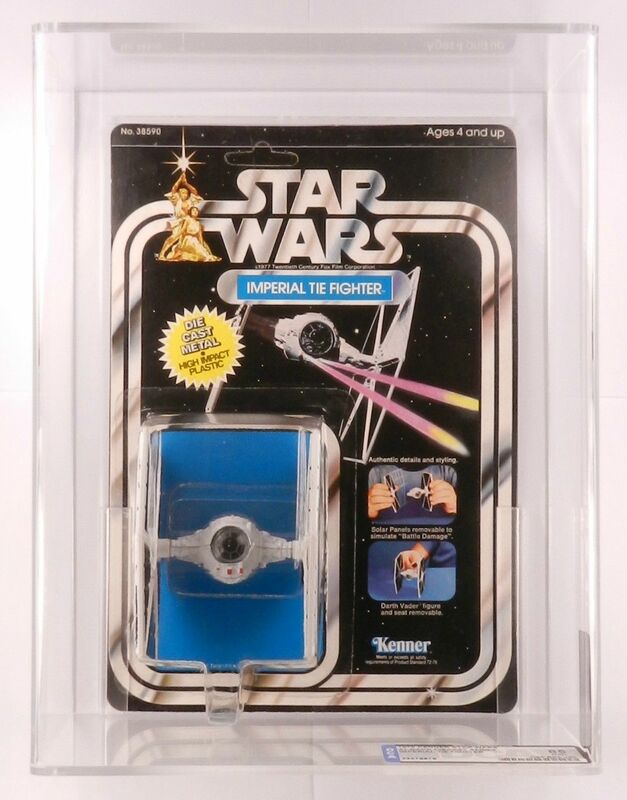 With our coverage this month we have a few sealed examples of boxed items to show the top end of what we’ve seen in the past few months on eBay. 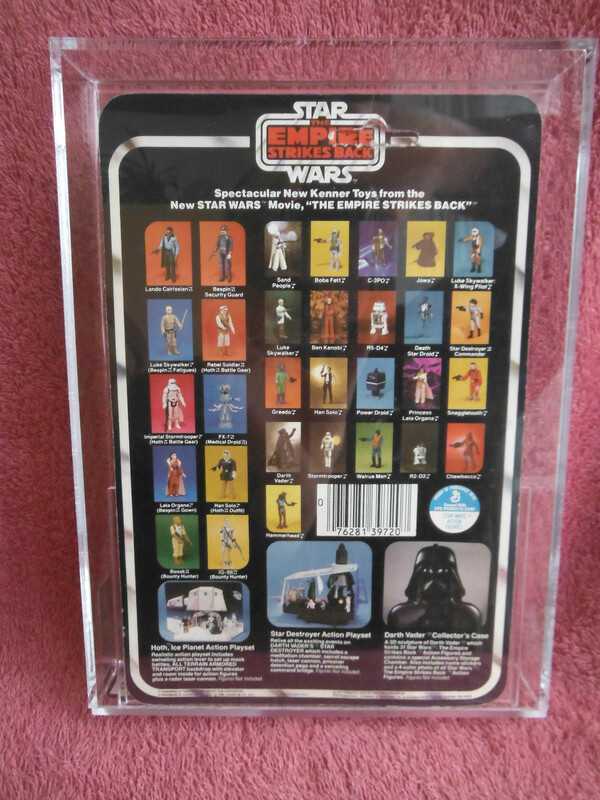 The biggest callouts this month have to be the Boba Fett and Meccano Darth Vader Figures not only given the price tag, but also given the rarity of Darth and the condition of Boba Fett. 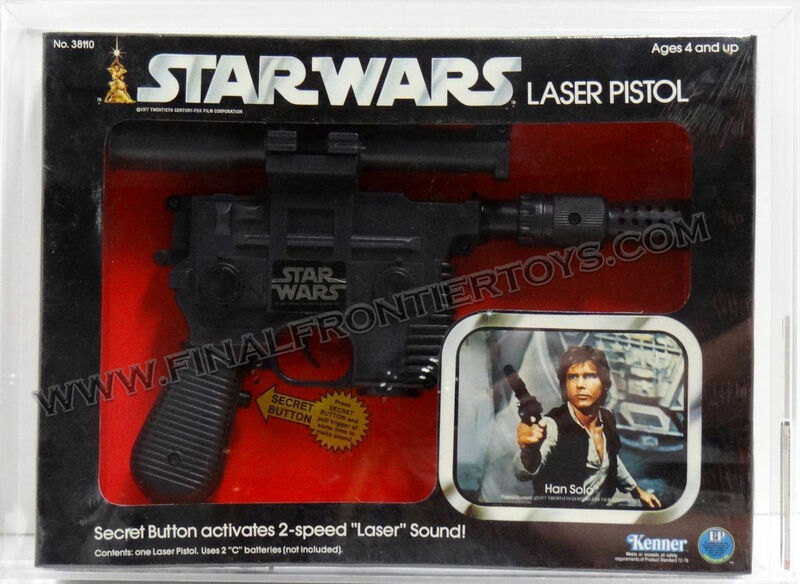 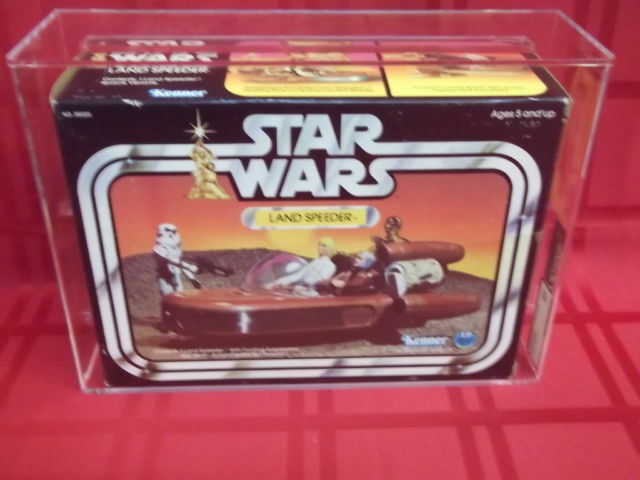 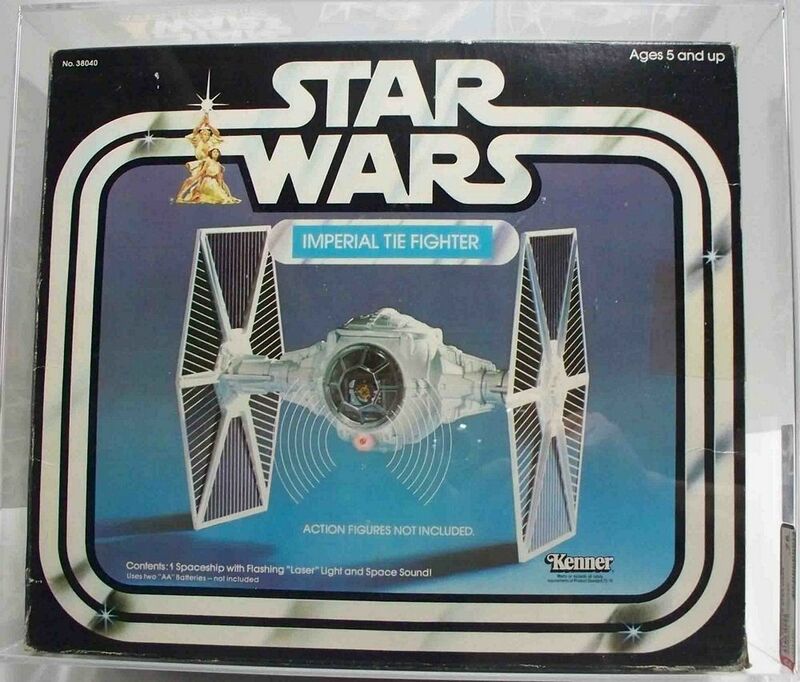 From the vehicles of the first line to the large scale toys such as the Laser Pistol, the boxed items from the original installment of the Star Wars line were ground breaking. 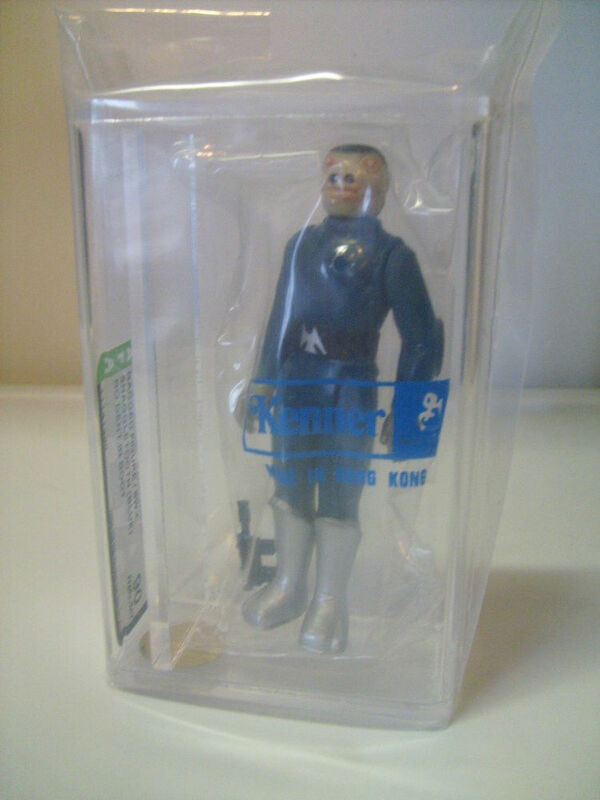 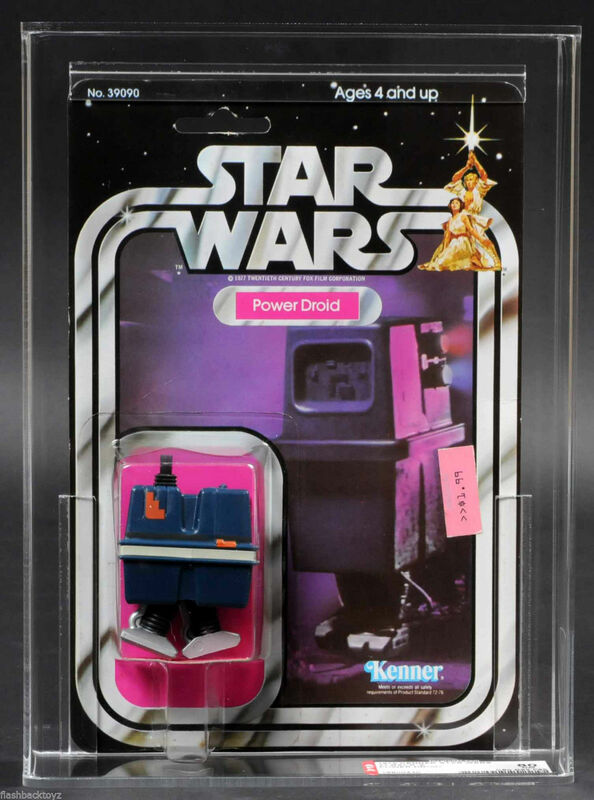 Not only did we see incredible replication of the items from the movie, we also saw Kenner go into new space with ancillary items for the series such as playsets. 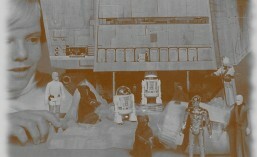 The vehicles are some of the most recognizable toys in the world and are truly ahead of their time in design and detail. 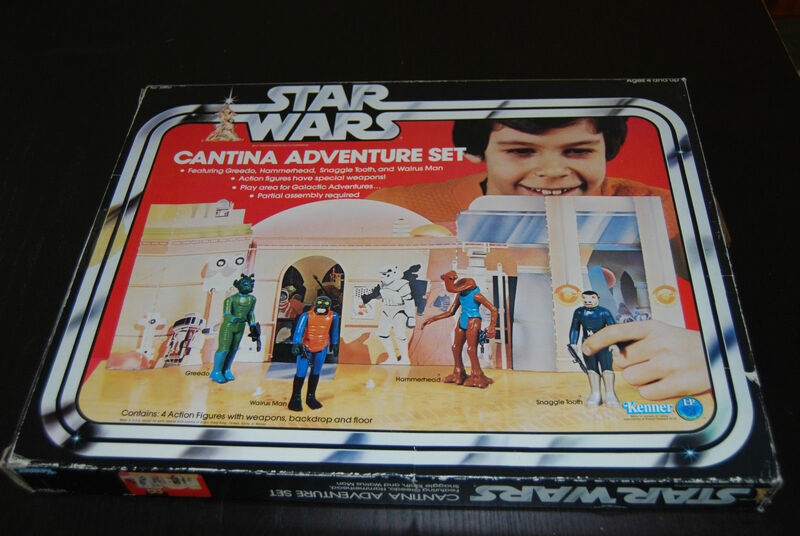 Overall the first movie only brought us roughly 12 items in this realm, but the success would lead to an expansion of these products with subsequent movies. 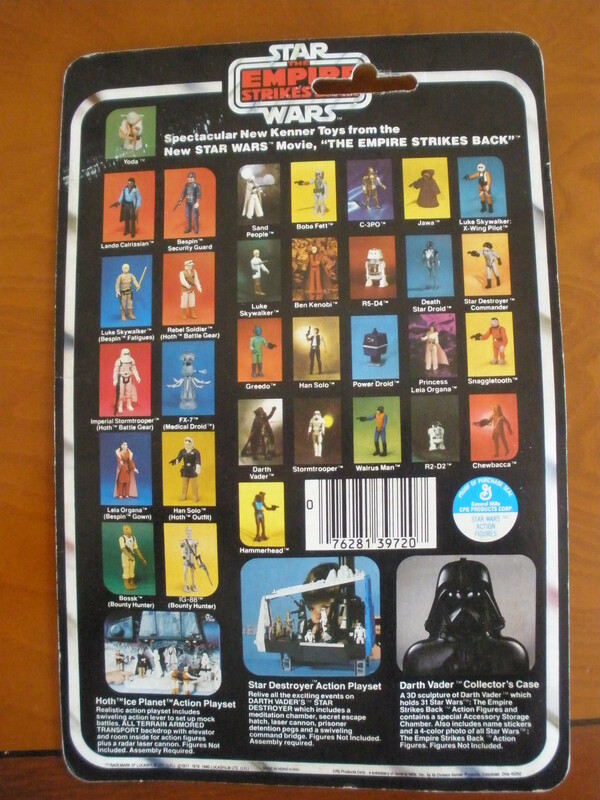 Like most toy-lines of the day the Holiday Catalogs and the Catalog Channel as a whole was a major part of the overall distribution strategy for any retail manufactures. 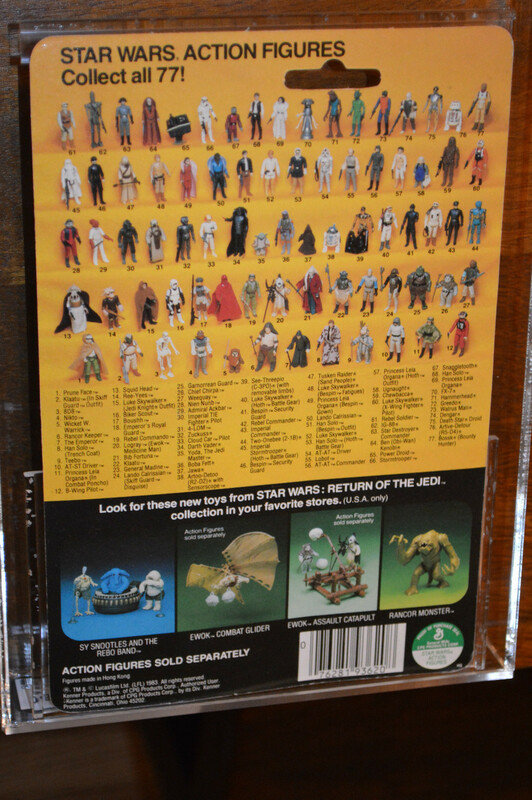 The Catalog Channel played an integral role in not only the distribution of the product, but also in creating unique offerings for the consumers, specifically in the way of Figure Multi-Packs. 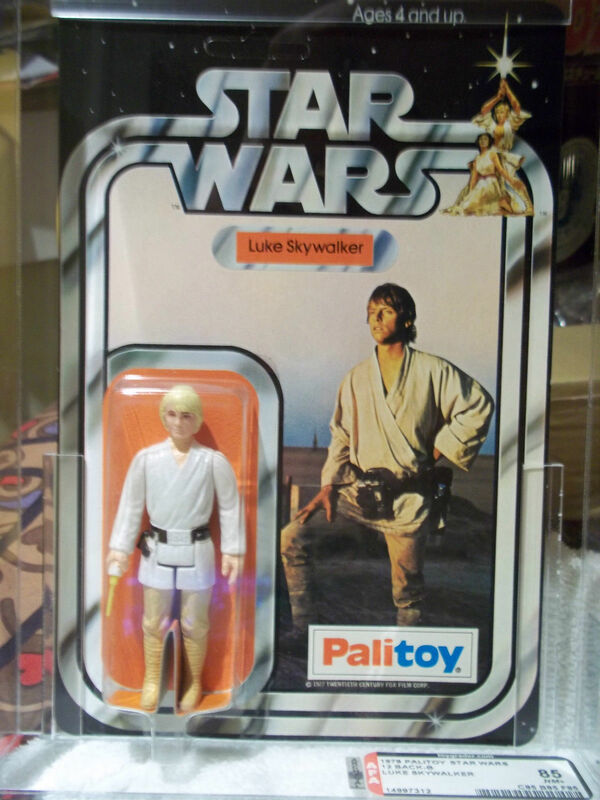 By creating unique offerings of figures they created their own sub genre in the hobby which albeit a niche, is still popular today. 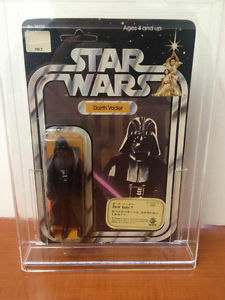 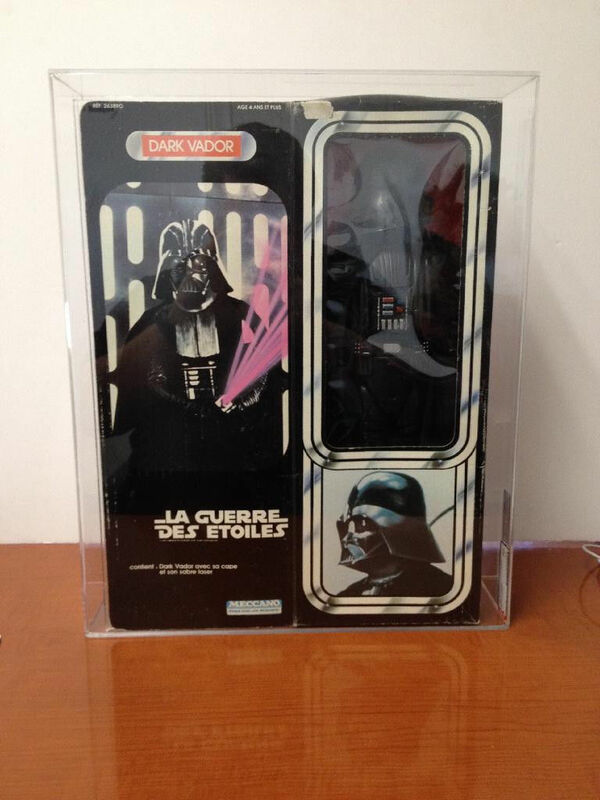 A quick mention on the Die Cast line, it was a short lived venture that started with the Star Wars line and continued on through the early stages of the ESB line. 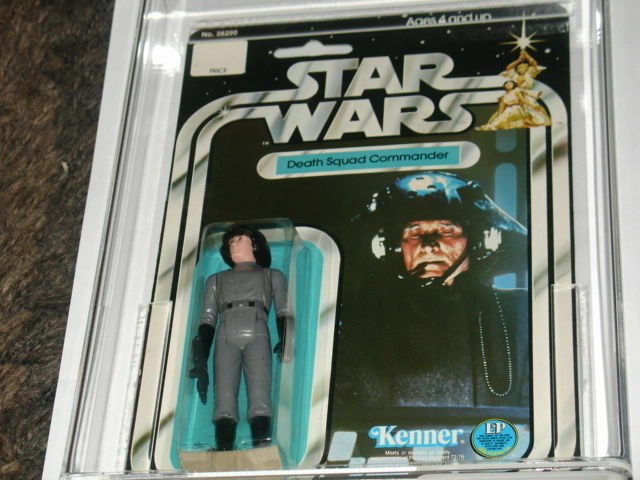 The run had some success, especially given the dynamics of that niche at the time. 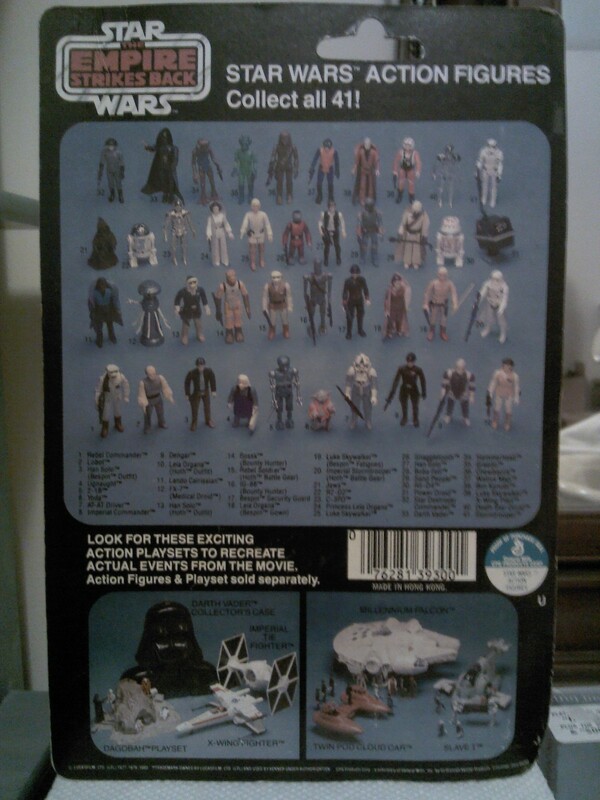 Here we have a few items that came out in that first run with the Star Wars toyline. 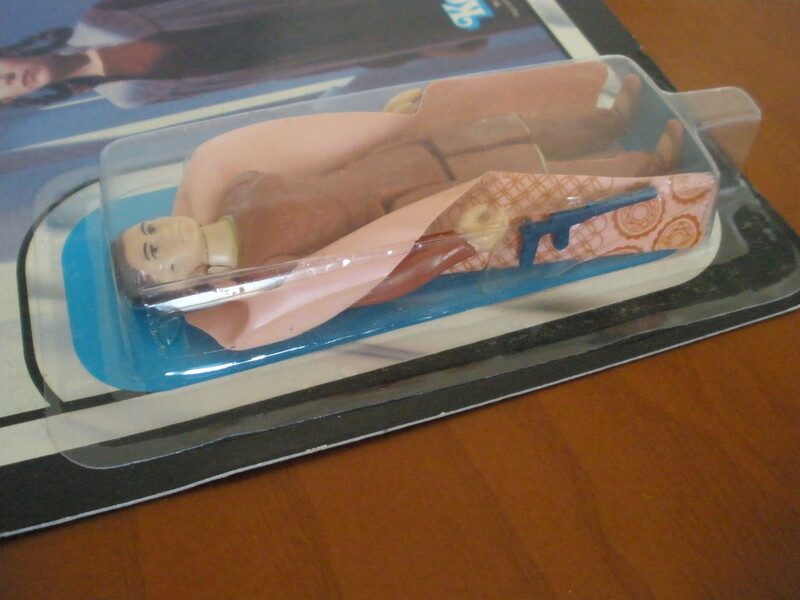 This month we have a three special items that I wanted to give some attention to. 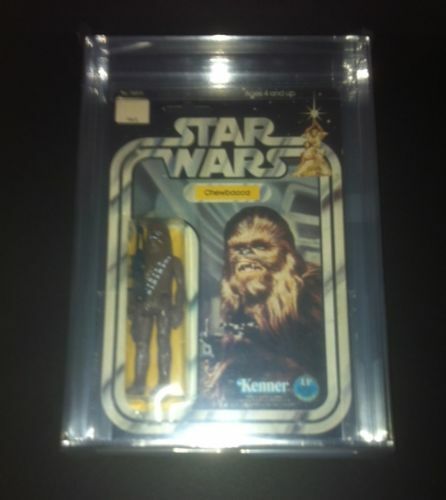 A super rare item, a cool and unique but not so rare item, and finally an auction that brings some of the crazy MOC prices back into perspective. 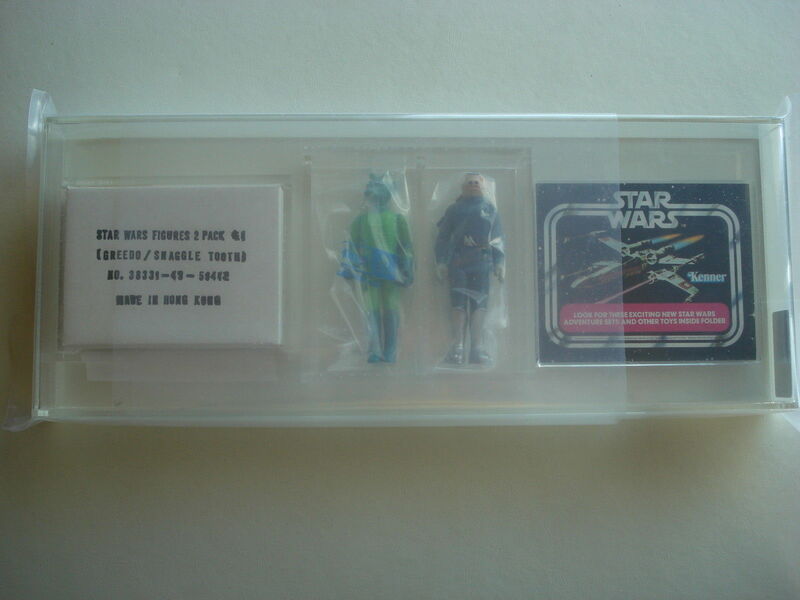 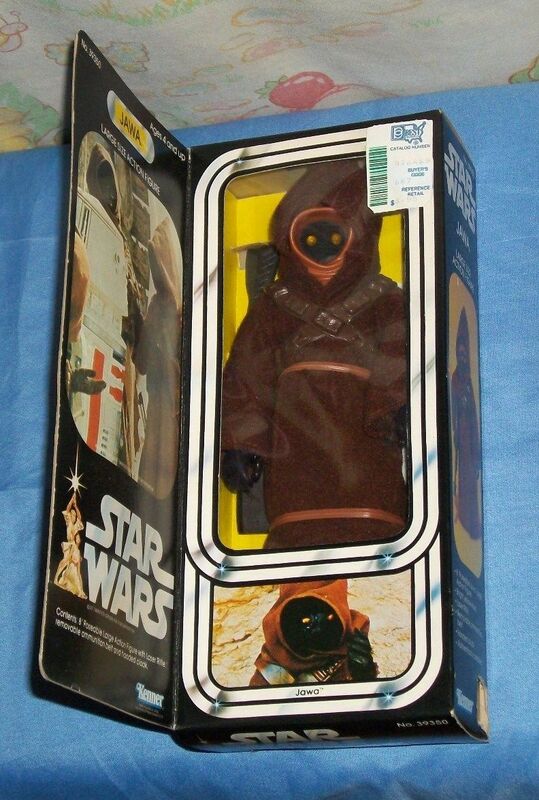 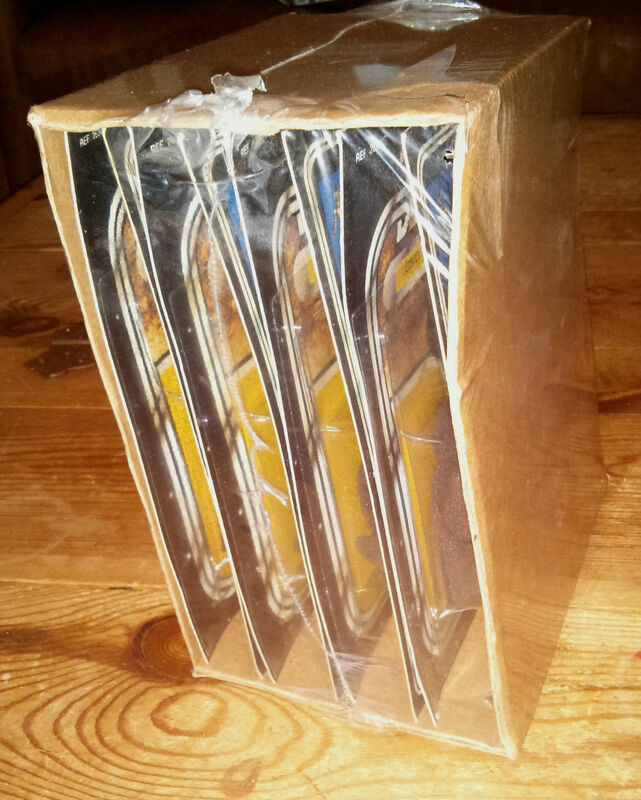 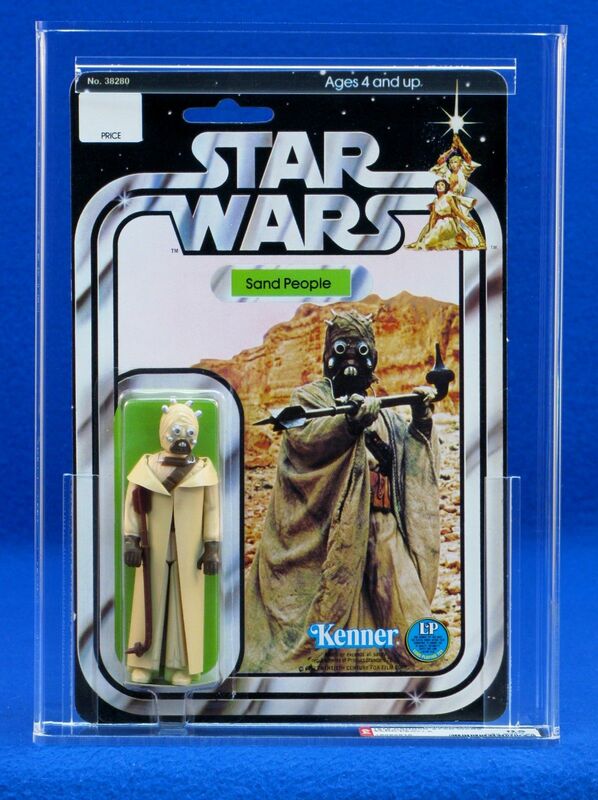 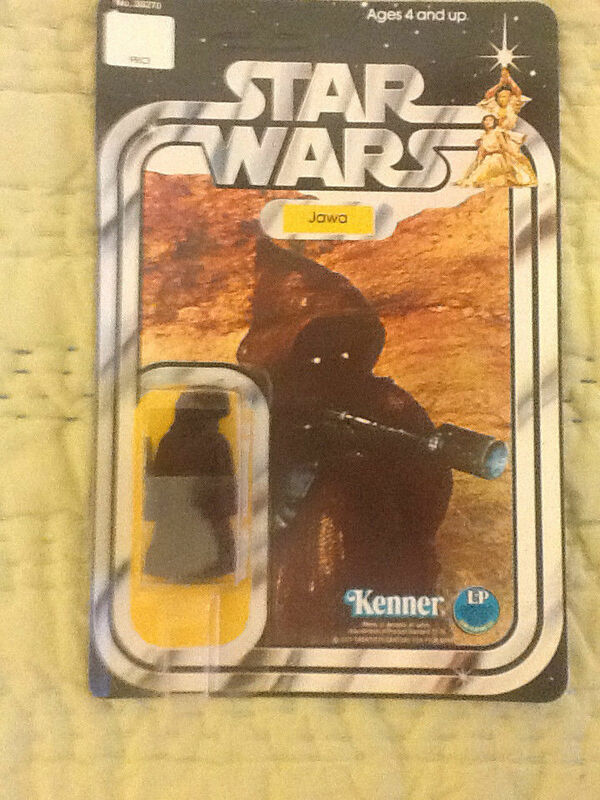 Well not exactly the most rare item, it’s definitely not overly common to find a sealed set of Meccano Jawa figures. 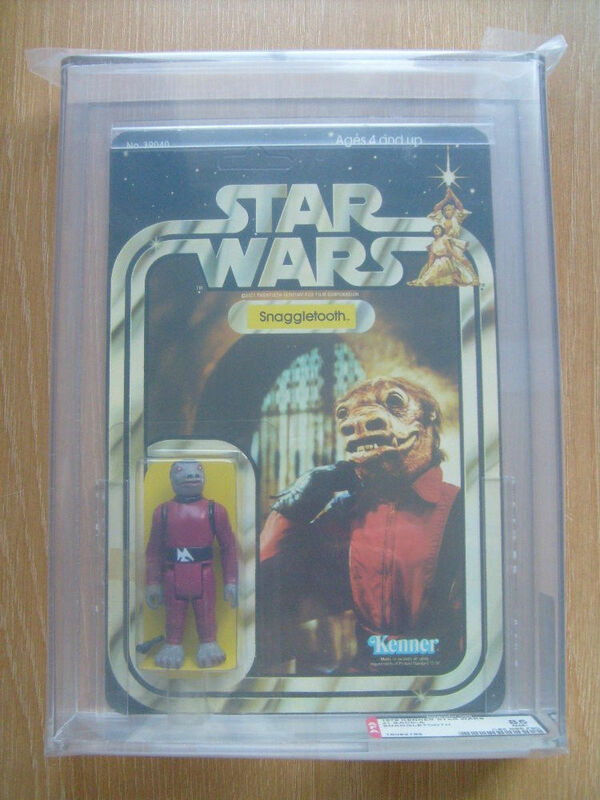 These particular items are unique in their own way and really don’t fit into any categorization amongst collectors. 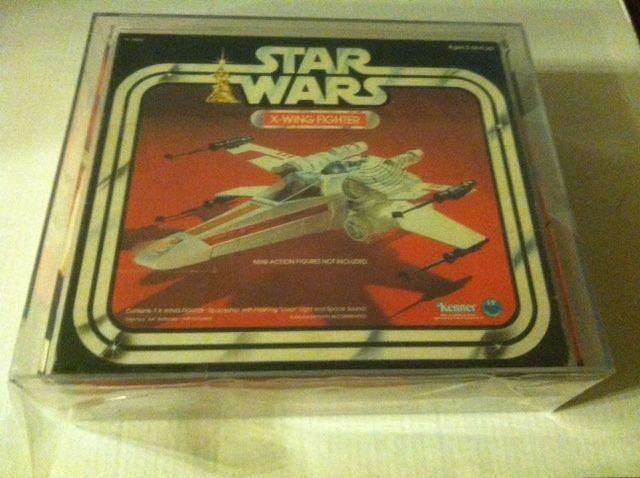 The most intriguing piece to come up on the market in quite some time, this version of an X-Wing prototype is really unique given how close it is to the finished product. 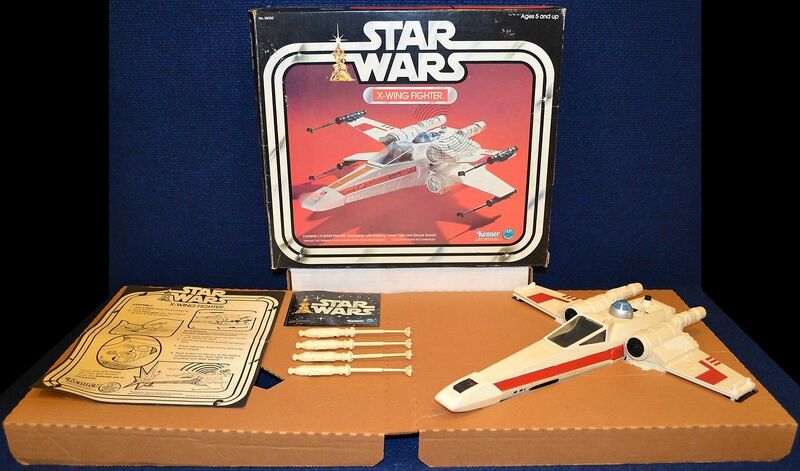 With most of colors represented it’s very close to the production run of the X-Wing. 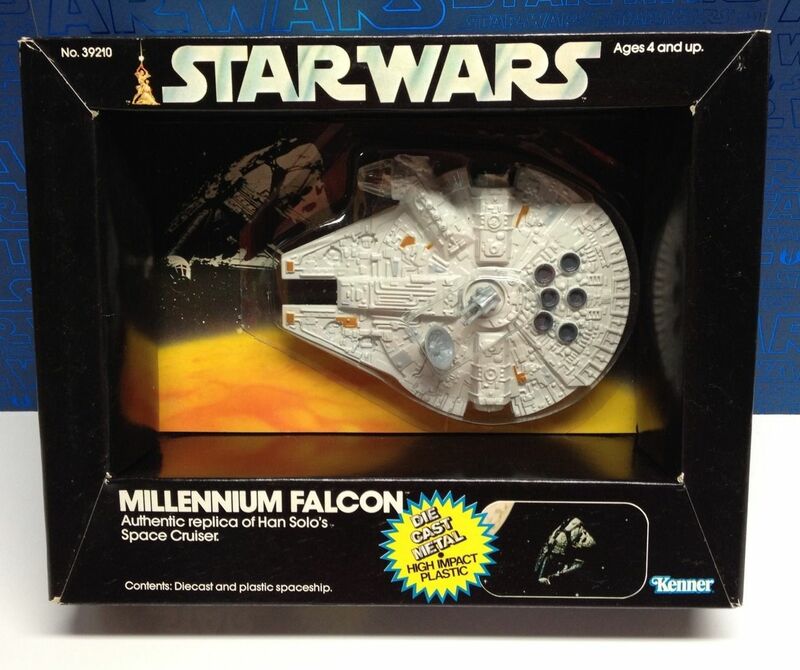 A very interesting piece to surface and quite the price it demanded in the market thus making it one of my personal favorites to appear on the MW in sometime. 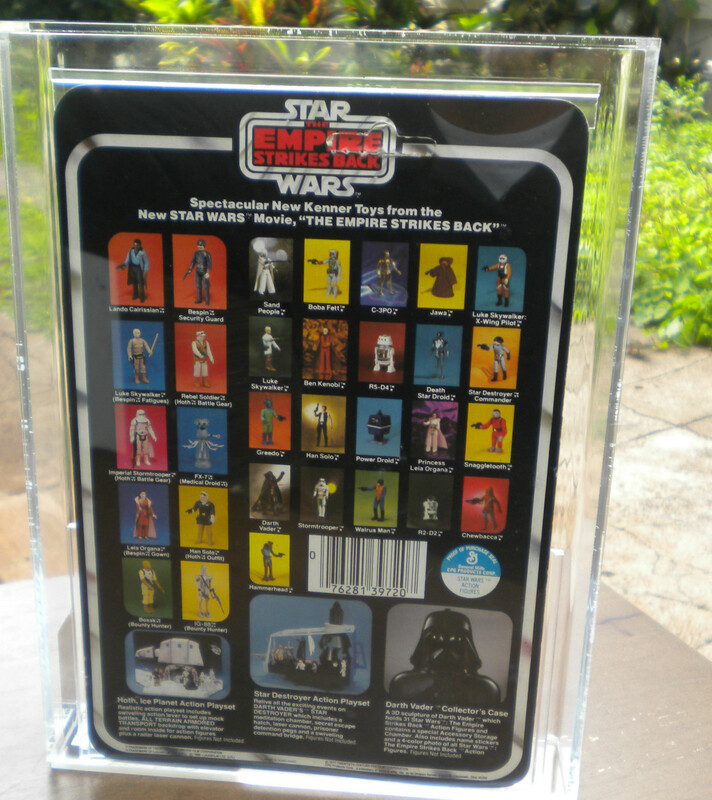 A set of the original 12 in decent condition going for a strong retail price, nothing too out of the norm but at the same time these figures weren’t really cheap either. 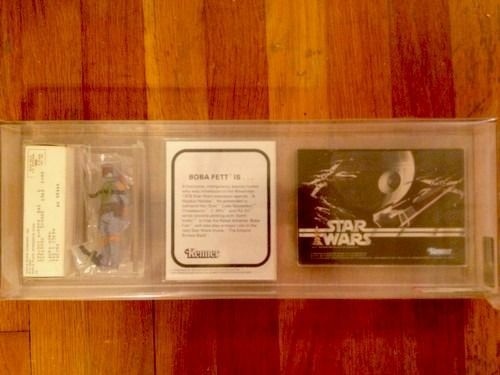 It’s a great way to close out our items for the month as it brings us full circle from the$4000 Boba Fett we covered off at the beginning of the post. 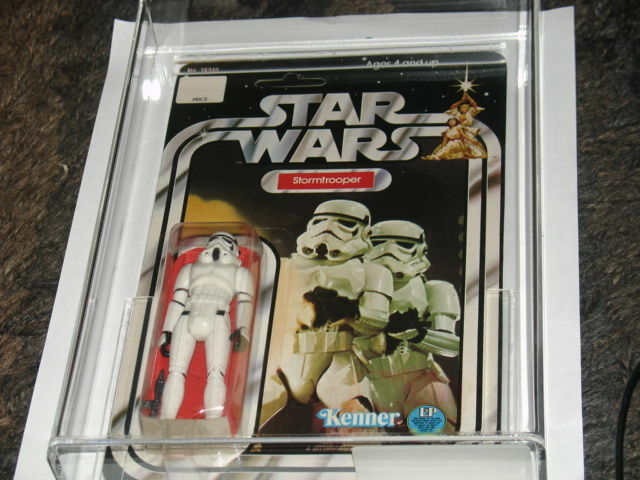 That’s it for this month’s edition, happy holidays and be sure to check back for the update on Yoda, and the upcoming general updates, in January reviewing the Holiday rush, and in February looking at the state of the hobby in 2014.